Joseph N. DeNardo [Developer]: Joseph N. DeNardo (JND) is a real estate developer with over twenty years of design and construction experience, and is Founder and Chief Executive Officer of USREC. His developments facilitated the creation of over $200M in real estate value over the past two decades. (See www.jndproperties.com) for more information. Joe’s passion for the outdoors began at very young age, when his uncle Louis Troiani introduced him to the Laurel Highlands of Pennsylvania. 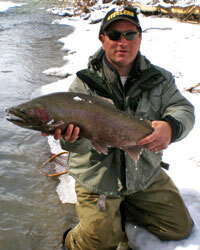 While Joe is an avid hunter and fisherman, his recreational interests are many. He has traveled extensively throughout North America pursuing those interests. Being convinced that fractional ownership broadens the market for users of high-end second homes, he developed the idea for USREC. Joe is a graduate of Carnegie Mellon University, and lives in the South Hills of Pittsburgh, Pennsylvania with his wife, Shari, and their three children. Daniel R. Ruffing: Dan is a veteran player in the hospitality and recreational industries, having been a PGA Golf Professional for 28 years. His career began with Marriott Resorts, where he held golf facility management positions (including Director of Golf) at two of Marriott’s luxury resorts - Camelback Golf Club, Scottsdale, Arizona, and Griffin Gate Resort, Lexington, Kentucky. For the past two decades, Dan has owned and operated Frosty Valley Golf Links in the South Hills of Pittsburgh, along with his wife, Jeanne, and their four children. Creating a lifestyle around their business, Dan and Jeanne designed and constructed their own stone and log dream home that overlooks the golf facility. 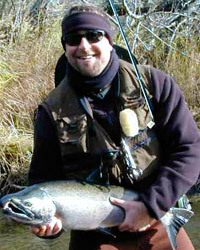 While Dan's love for the great outdoors began with hunting, his more recent passion is fly-fishing, which he pursues in his leisure time. Robert Sheridan: Bob is a Senior Partner with Concept Food Sales, responsible for a multi-state team of sales associates. Bob and his wife, Michelle, are always ready for an adventure. They have owned property at Seven Springs Ski resort for over a decade where they spend time enjoying friends and family. Bob’s interest in USREC is based on the desire to diversify his real estate holdings as well as to gain access to high quality properties for a fraction of the price. Being responsible for customer relations at Concept Foods, his share of USREC properties will serve as an asset allowing him to host events for special customers as well as out-of-town guests and business associates. Bob is a graduate of the Ohio Institute of Technology. He, Michelle and their son Sam, reside in the North Hills area of Pittsburgh. Don Dobroski: Don is a well-suited investor with U. S. Recreational Properties, having been involved in the residential and commercial construction industries for over twenty years. He has enjoyed a long-term sales career with a firm that provides and installs a variety of construction materials. Don’s enthusiasm for USREC stems from his personal understanding of the benefits that fractional ownership offers individuals like himself—people who enjoy having accessibility to high-end luxury properties in beautiful settings, but do not necessarily have the time to enjoy a property full time. 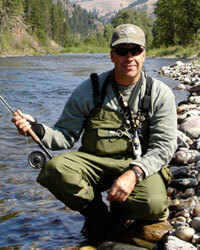 While Don has many recreational interests from physical fitness to fishing, his primary leisure pursuit is travel. He has ventured to the Arctic Circle, Alaska, Montana, Florida Keys and Italy. 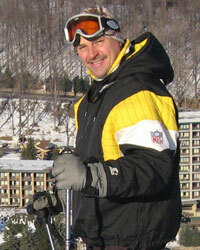 Having been raised in Hershey, Pennsylvania, Don has lived in the South Hills of Pittsburgh for over twenty years. Gary Maghess: Gary enjoyed a life-time career as a Parts Expediter with General Motors before retiring in 1998. For a number of years, he was also a high-end, custom home-builder in the Akron / Stowe area of Ohio. Although Gary’s investment portfolio is diverse, he has always believed foremost in the value of real estate. Having recently sold his holdings in Las Vegas, Gary currently owns properties in the Pittsburgh area and in Santa Barbara, California. Since he retired, Gary has had time to explore different areas of the country, and pursue his favorite past-times – fishing and hiking.